Photo credit: Larry Philpot. Updated at 1:15pm: It is being reported that Prince has passed away. The artist’s publicist, Yvette Noel-Schure, said in a statement that he died at his Paisley Park home Thursday morning in Chanhassen, Minnesota. Last Friday, Prince was reportedly hospitalized in Illinois in connection with flu symptoms that were ongoing. Previous: TMZ is reporting that a death investigation is taking place at Minnesota’s Paisley Park, the studio and home of Prince. According to the report, the Chanhassen, MN Sheriff’s departent told TMZ that authorities responded to a medical emergency at the residence, and that there had been a death there. Last Friday, Prince was reportedly hospitalized in Illinois in connection with flu symptoms that were ongoing. More as this story develops. 3:43 PM PT — The medical examiner’s office has received Prince’s body and will perform an autopsy Friday. Prince‘s longtime friend and collaborator Sheila E. wants answers — and she’s jetting to Minnesota right now to get them. We just got Sheila as she was boarding a flight at LAX, and she was visibly shaken about the news of Prince’s death. She gave us a message for the millions of fans mourning around the world. Sheila — who’s been tight with Prince since the mid-’80s — seemed puzzled about reports he’d been battling the flu, but also … determined to find out the truth. 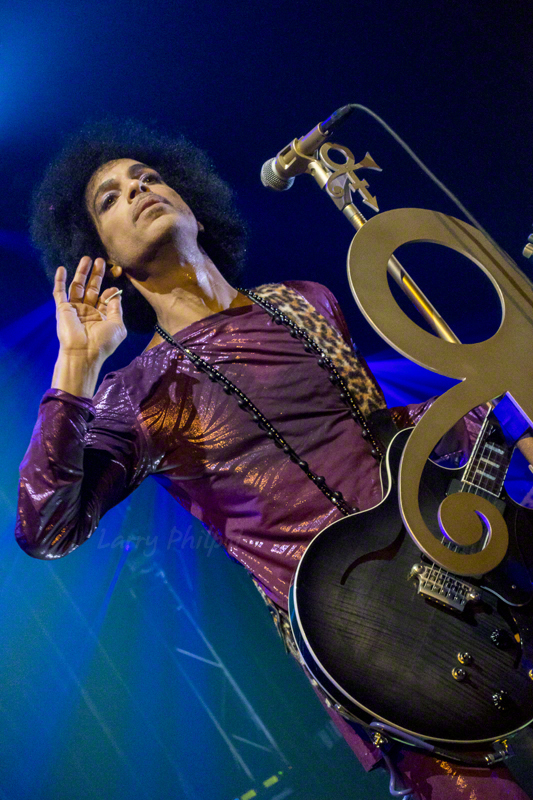 Sources in Moline, Illinois tell TMZ, Prince’s entourage told responders he had taken the painkiller after his Atlanta concert which triggered the emergency. We’re told Prince was taking painkillers for a hip problem. We’re told he had corrective surgery for his hips around 2010. Prince‘s autopsy was just completed … but the cause of the singer’s death is still a mystery. The four hour procedure started at 9 AM CDT Friday and Prince’s body will be released to his family later today. We’re told results from the exam won’t be disclosed until toxicology results come back … which could take several weeks. A rep for the Midwest Medical Examiner’s Office in Minnesota says they’re still collecting the singer’s medical records as well as family medical history to complete their investigation. Prince died Thursday morning after being found unresponsive in his Paisley Park compound. Prince‘s body had no obvious signs of trauma when he was found in an elevator … according to the Sheriff running the investigation into his death. Carver County Sheriff Olson gave few details about what his deputies found at Paisley Park on Thursday morning. He said they’ve found nothing to indicate the superstar’s death was a suicide. A rep for the Medical Examiner’s Office said the autopsy was complete, but they will not release any results until toxicology testing is also complete … and that could take several weeks. Prince was found by staffers at Paisley Park, who’d gone there to check on him after being unable to reach their boss by phone. As for the 911 caller, presumably one of those staffers, not knowing the address at Paisley Park — the Sheriff said he did not find that to be unusual. Authorities have obtained a search warrant for Prince‘s house, and in the docs there’s an ominous warning … if the justification for the warrant gets out it could cause others to destroy evidence. The warrant was issued Thursday in Carver County, Minnesota, allowing cops to search the home in Paisley Park Studios, where the singer lived and died. Our sources say authorities want to see if there’s evidence of drugs, correspondence, prescriptions and medical information that could help in the death investigation. Translation … we know authorities are interested in drugs that were prescribed by doctors and filled by pharmacies, and they don’t want evidence tampering.